National Chocolate Week is the prefect excuse (not that you need one) to indulge in a range of Guylian’s sumptuous praline chocolates. Made using only the finest, hand selected Mediterranean hazelnuts, which are roasted and caramelised to perfection before being blended with premium Belgian chocolate, a box of Guylian Sea Shells or Sea Horses are the perfect way to celebrate all things chocolate. Go on, treat yourself this National Chocolate Week (13-19th October). This well loved classic is guaranteed to put a smile on any chocolate lover’s face. 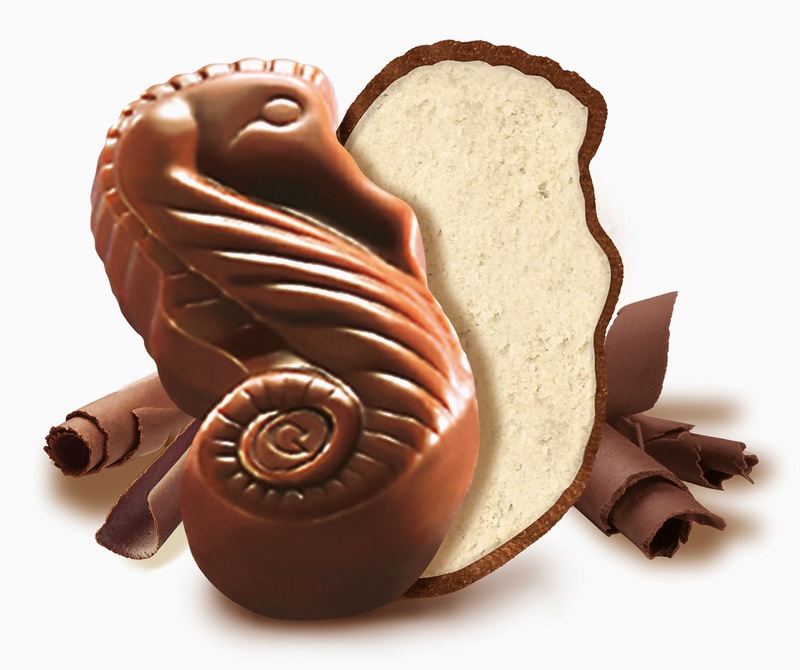 Made from the finest West African cocoa beans and filled with melt-in-your-mouth roasted hazelnut praline, each heavenly Guylian Sea Shell is lovingly crafted from a blend of delicious white, milk and dark Belgian chocolate. A fresh take on our signature Sea Shells, these delectable praline filled Sea Horse shaped chocolates are available in small 46g boxes, perfect for self-gifting, RSP £1.00, and generous 336g boxes for sharing with friends and family, RSP £10.00. For your chance to win 1 of 3 chocolate sets, each consisting of 2x 336g boxes of Sea Horses and 1x 250g box of Sea Shells, you can enter via the Gleam entry form below. Leaving a comment is mandatory but there are additional options available too. The giveaway ends at 11.59pm GMT 12th November 2014. I love Galaxy and my favourite dessert with chocolate are profiteroles! I love salted caramel with chocolate or dark chocolate with nuts. Pot au chocolat - worth breaking my diet for! I just adore all chocolate...except with mint in as am allergic to it! I love black forest gateau - any combination of chocolate and cherries is my favourite. I love Milk chocolate - no filling. Preferably Dairy Milk but I also like Galaxy. All chcocolate! ;) im not fussy! Milk chocolate for me ! I love Galaxy chocolate and Guylian, of course! Funnily enough, guylian shells! I absolutely adore them! For dessert I like chocolate fudge cake. Plain chocolate is my favourite! Chocolate with caramel filling is my favourite. I love homemade chocolate fudge cake. Godiva Carrés are my favourite chocolate. I love Hot Chocolate Fudge Cake. White chocolate for the milky bar kid. I like variety in my chocolate. Anything involving dark chocolate and caramel! Chocolate Mousse, bucketfuls of it! Chocolate cake with ganache icing is my favourite!! Chocolate & orange tart is my fav!! I love all chocolate but 80% dark is best. my mother-in-law makes the nicest chocolate torte EVER !!! it is so gorgeous .............and probably why ive put 4 stone on since being married ! I love all types of chocolate, especially when it's covering toffee or raisins! I love cadburys flakes. My favourite dessert is profiteroles or chocolate fudge cake with custard. It depends on my mood. Chocolate fudge cake! I'm always on the search for the perfect one. Mouth watering right now! Chocolate! I love it all! apart from the nutty ones! I love EVERYTHING dark chocolate related! I love the chocolate fudge yule log that they bring out every year from our local supermarket.It's gorgeous!. Guylian sea shells are actually my favourite chocolates! My fave chocolate dessert has to be chocolate mousse! I Like the Hazelnut in chocolate. I Love the Hazelnut in chocolate and the Truffles. YUM! My favourite chocolate dessert has to be black forest gateaux ! My favourite chocolate is Galaxy. Not just saying this, Guylian are completely my favourites! I love chocolate fondant cake with cream...when you cut into it and that gooeey chocolate runs out...heaven! Milk chocolate with hazlenuts in. I'm obsessed with chocolate cheesecake! I love dark chocolate and chocolate liqueurs. i love white chocolate. A big slab of milky bar and i'm happy!